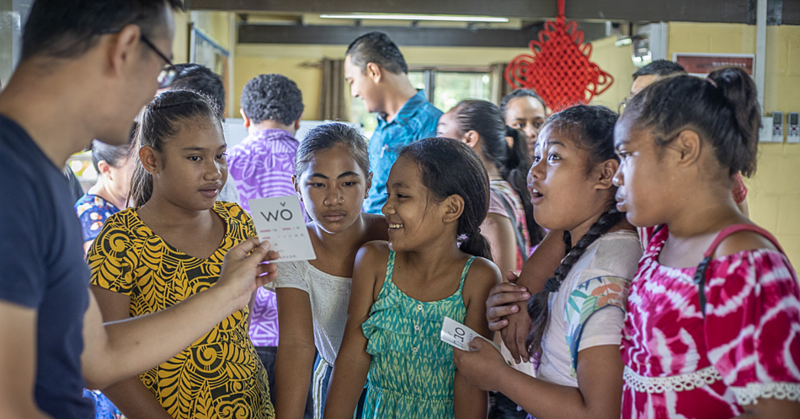 Understanding finance and writing corporate news was the objective of a workshop hosted by the ANZ Bank yesterday, with the assistance from the Journalists Association of Samoa (J.A.W.S). Held at the Sheraton Samoa Aggie Grey’s Hotel on Beach Road, the training was facilitated by veteran Australian journalist Mark Skulley. 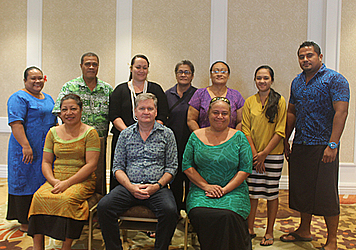 Over a dozen Samoan journalists took time out of their busy schedules to attend the workshop for journalists and other media workers, covering the critical and evolving role of corporate journalism, writing corporate news and understanding and reporting on basic financials. “Today’s workshop is about sharing insights and skills, and we’re happy to have Mark in town this week to share his expertise with Samoan journalists to help them report on financial matters and local business developments,” said ANZ Samoa Country Head, Bernie Poort. Mr. Skulley is widely recognised as one of Australia’s finest industrial reporters, specialising in industrial relations and the auto industry. Mr. Skulley is a veteran of the Australian Financial Review and the Sydney Morning Herald and more recently published articles about the Pacific on ANZ’s news and insights portal, ANZ BlueNotes. “The media plays an important role in informing the public on topical matters related to the financial sector, consequently supporting financial literacy efforts in Samoa and the region and connecting readers to local and international business insights,” Mr. Poort said. 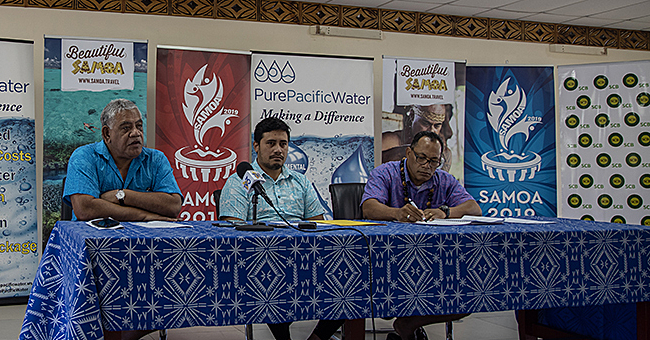 President of the Journalists Association of Samoa, Apulu Lance Polu, welcomed the initiative. 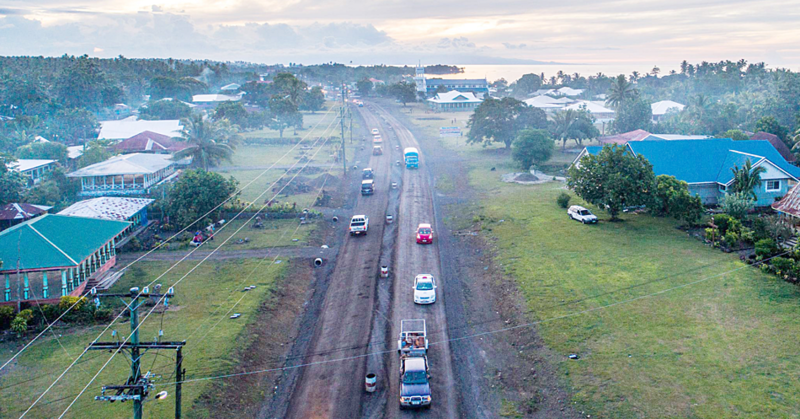 “This is an excellent example of collaboration between ANZ and local media, and we hope to see more of these sorts of initiatives in the future,” Apulu said. Mr. Skulley said a lot of journalists can feel daunted when it comes to reporting on business and economics, partly because of the jargon that’s used. “Also, many journalists who don't write about business much say that it’s ‘boring’ and that they prefer to write about other subjects, like politics. But as the saying goes, ‘money makes the world go round’. Media representatives from the Samoa Observer, TV3, Samoa News, National Radio 2AP, Talamua Media, Savali Newspaper, WT Media and TV2 EFKS attended the workshop held in Apia today. ANZ BlueNotes is the bank’s online news and insights portal at www.bluenotes.anz.com. Sign up for its free weekly newsletter.